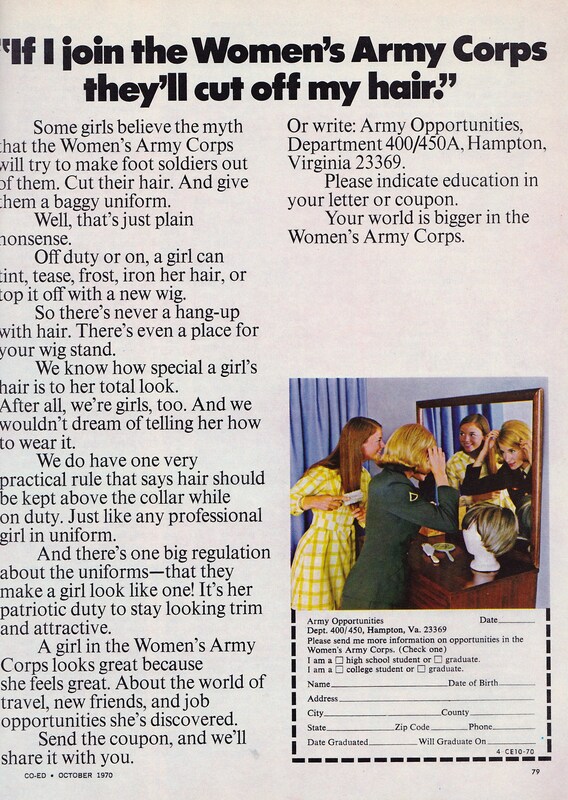 Join the Army, Gals–You Can Bring Your Wigs! When a young woman is considering joining the military, she has lots of questions–about her hair. At least, that’s what the “girls” of the Women’s Army Corp believed in 1970. Because this is Veteran’s Day in the U.S., I would like to salute all the men and women who have served their country; the sacrifices they have made go far beyond hair care.